Bikini season is upon us….time for a wax! One of the people I miss the most in the US (after my family and yorkshire terrier of course) is my waxer. She gives the closest thing to pain-free bikini wax that you can get, and I wish she would move here and open up a salon. That said, I was so excited when I found Strip. 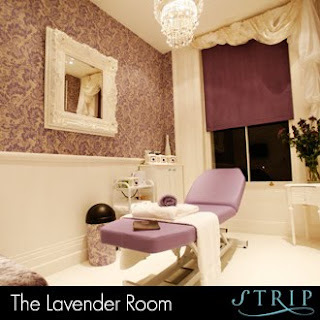 The waxing bar, located in Chelsea, Notting Hill and Soho, is the perfect place to get ready for bathing suit season. The waxes are fairly painless, the girls are lovely, and the rooms are all adorably decorated. They even have different flavors of waxes including, chocolate, berry and lavender! 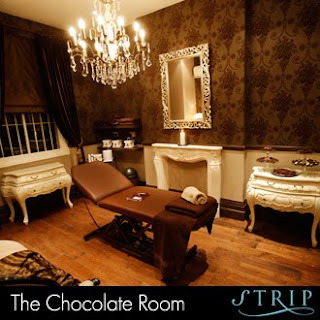 Hang around for a minute or two after your treatment and browse the adorable lingerie boutique. I’ve snatched up some really cute nighties and cozy pajamas on my way out! They also do superb threading. They are amazing at taking unkempt brows and unearthing a lovely shape. And it all happens in an incredibly comfy chair in a sunny conservatory with elderflower cordial to hand. I was about to ask if you had a recommendation on where to go for a good eyebrow shaping (I'm missing Anastasia right about now). Good to know that this place is recommended! Any others?